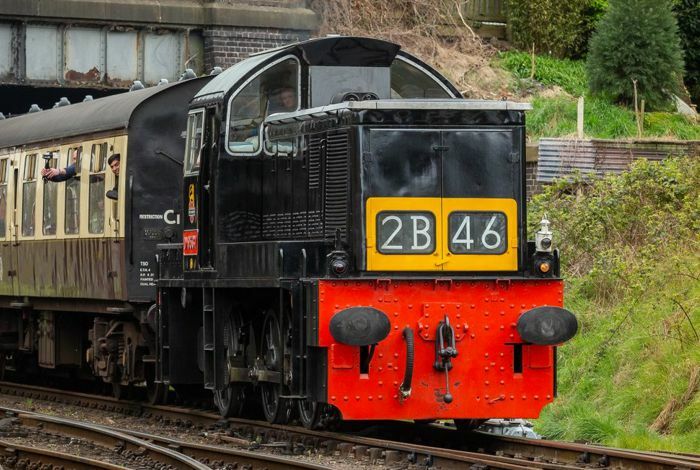 All aboard for Great Central Railway's Easter Vintage Festival! 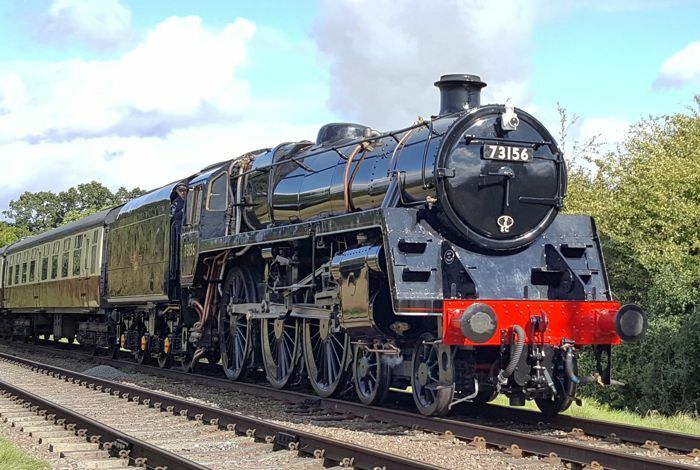 Get ready to step back in time to a country fayre at Quorn & Woodhouse station. There's gallopers and a big wheel, traction engines, craft stalls, vintage cars, commercials and tractors. There's also a real ale tent with live music on Friday and Saturday. This year we will have the largest collection of steam traction engines, road rollers, steam lorries and miniatures ever on the yard with over 20 engines. We have engines from New Zealand and Chile, we will have 12 Guiness Book of Record holders who attended last years greatest gathering of steam engines at the 500 at 50 Great Dorset Steam Fair. 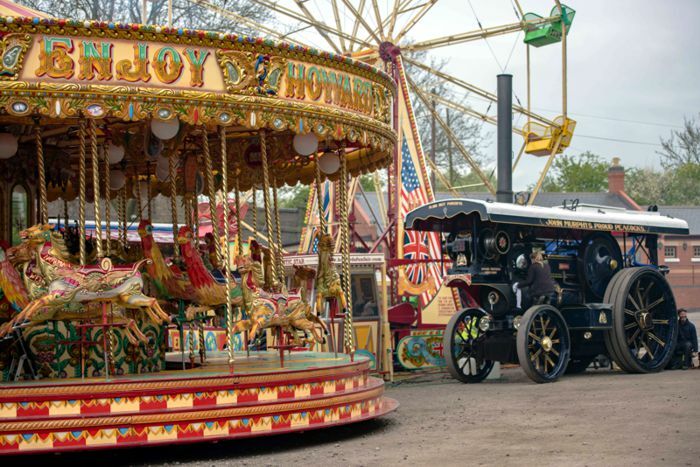 Our vintage fair, Gallopers, Big Wheel and Howards Train Rides will be open from 10.00 am each day, closing at 17.30 pm on Friday and Saturday and 16.00 pm on Sunday and Monday, don't forget to visit Rothley station for the mini fun fair, charges for rides apply. Friday, engines and exhibits arriving throughout the morning. Friday evening we look forward to live music from The Roosters from 19.30 onward's, free entry with travel or yard entry ticket or £6.00 on the door. Saturday evening we look forward to Jersey Budd performing from 19.30 onward's, free entry with travel or yard entry ticket or £5.00 on the door. Sunday, 12.00 Memorial Whistle for absent friends, 16.00 the engines, tractors etc. will go on their Annual Road Run through the village of Quorn, turning down Chaveny Road turning left at the mini roundabout in the centre of the village and back along Leicester Road with a pit stop at the Quorndon Fox. The Tin Shed Real Ale Bar will be open throughout, opening at 11.00 am each morning, closing at 23.00 pm on Friday and Saturday night, 20.00 pm on Sunday night and 17.00 pm on Monday. There will be a selection of guest ales, Nottingham Brewery ales, ciders, prosecco, wine and soft drinks available throughout. 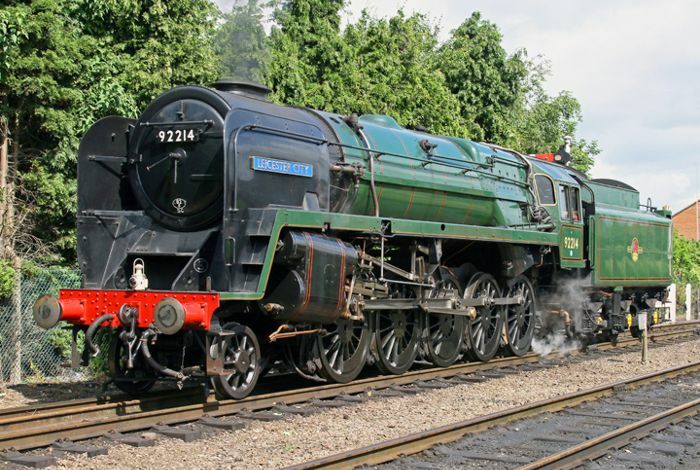 Monday just join us for a relaxing day soaking up the atmosphere of steam on the track and steam on the yard!! 1. 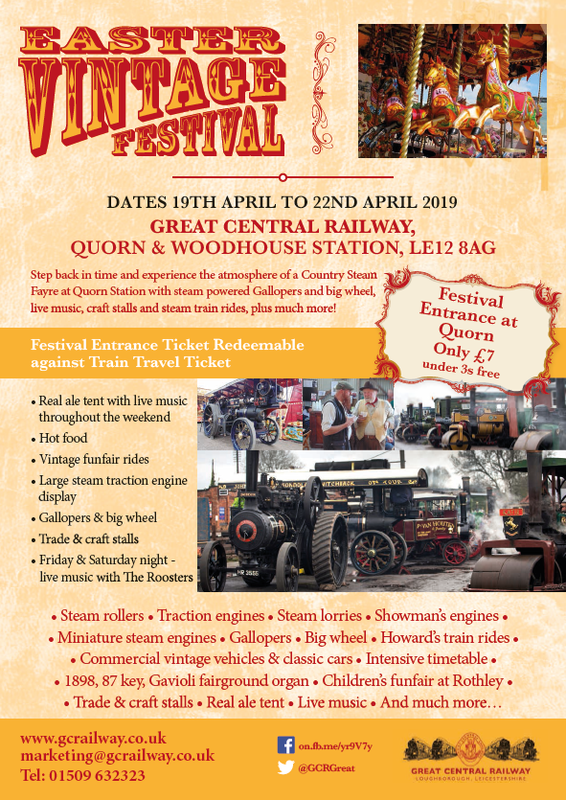 Entrance tickets to Quorn for the festival alone (not including travel) are priced at £7pp – if you hand your ticket in when booking a travel ticket this £7 will be deducted. 2. Purchase of a rail ticket gives free entry into Quorn festival. 3. Return, single and short hop tickets will not be available, except after 3.00pm when they will become available at the normal rates. 4. Normal discounted fares apply for members of Friends of Great Central Main Line (Valid membership cards must be shown) - £10 and £6 for adults and children, respectively. 5. HRA passes are suspended for this event. 6. Members of other heritage railways with whom GCR has reciprocal arrangements for reduced fares, will be eligible for Privilege fares. 7. Same arrangements apply as in 6. above for holders of ex British Rail and Train Operating Company passes. 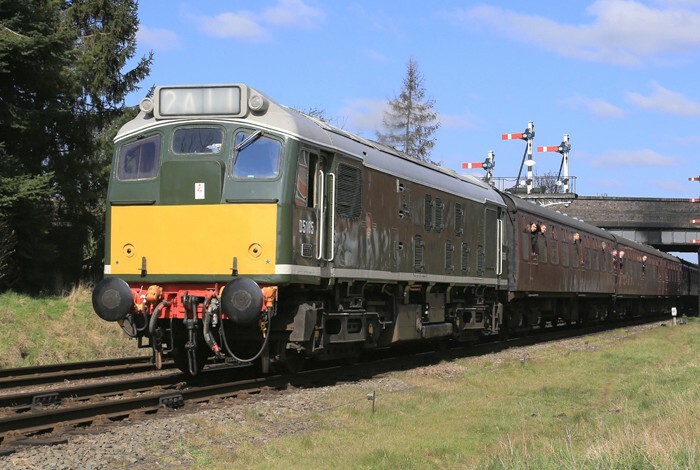 We have two steam locomotives and one diesel loco in action each day during the Easter Vintage Festival. 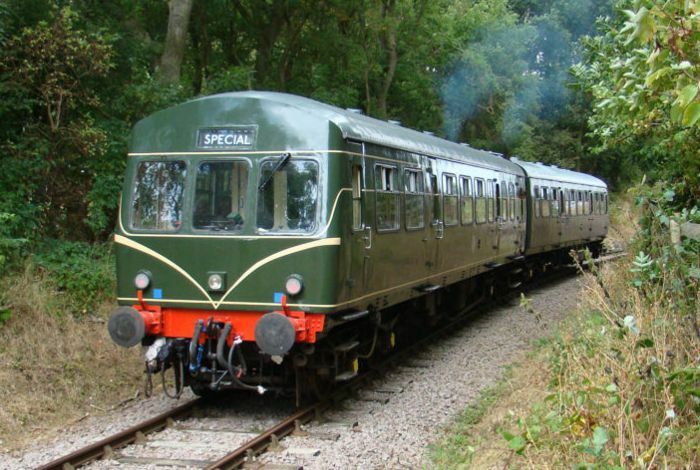 Our diesel railcar is also operating on Saturday and Sunday. BR Standard Class 5 73156 BR Standard 9F 92214 "Leicester City"
Loughborough: LE11 1RW. On street parking is available but the surrounding roads will be busy. Many double yellow lines have been added to roads in the area, so parking is increasingly scarce, and neighbouring residents don't always welcome extra vehicles! On-street parking in the immediate vicinity of Quorn station is subject to Council operated parking restrictions. Car parking is available in the field car park next to Quorn & Woodhouse station at £3.00 per vehicle. Entrance to the event will be via the station steps or the weighbridge at the bottom of the drive. To buy train tickets or admission to the yard from this station on the days of the event, please use the booking office or the weighbridge entrance. Rothley: LE7 7LD. There is very limited free car parking in the station yard due to the children's funfair. Also, on-street parking in the immediate vicinity of Rothley station is very limited with Council operated parking restrictions. Leicester North: LE4 3BR. There is limited free car parking on the immediate approach to the station.